If permeable vs. non-permeable surface regulations or drainage issues are preventing you from building or remodeling on your property talk to us! Lakeshore property owners subject to State, County or Town/Village surface regulations. Property owners that have challenging drainage or water management problems. 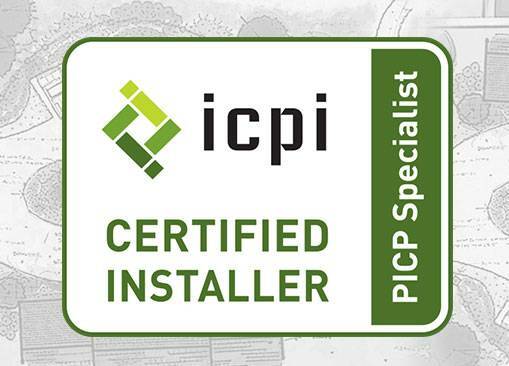 Landmark Landscapes is now the only ICPI Certified Installer of Permeable Interlocking Concrete Pavement in Sheboygan County. Landmark’s Certified Installers meet State, County and NEW Village of Elkhart Lake lakeshore surface regulations. We can help you and your contractor to find a beautiful and sustainable way to maximize the enjoyment of your property.